I am a huge fan of The Hunger Games novels. They’re action-packed and addictive, and I remember racing through them in a matter of hours because I just needed to know what would happen to Katniss and co. But when they were over, I was left with that feeling of disappointment knowing that I’ll never be able to read them for the first time again. So I began looking for books like The Hunger Games to satisfy my craving for more. 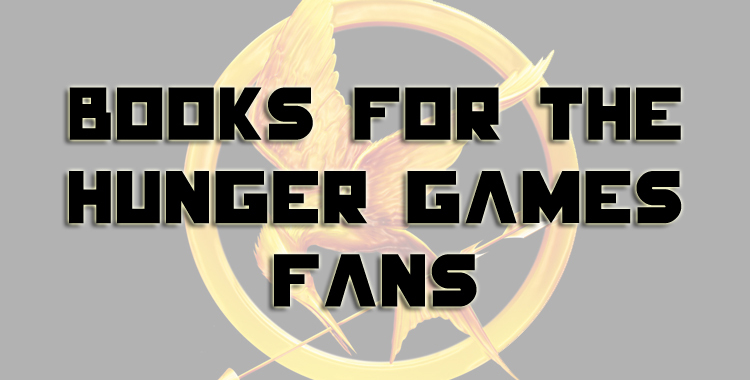 If you feel the same way, look no further, as I’ve put together a list of 10 books I’d recommend for fans of The Hunger Games. My first recommendation and one of my absolute favourite book series of all time is the Delirium trilogy by Lauren Oliver. It’s set in a dystopian future in which love is considered to be a disease, which I think is a really awesome concept. But there’s much more than that going on, and even though I wasn’t a huge fan of the ending (I never am with trilogies, it seems), I would highly recommend reading these if you enjoyed The Hunger Games. Just be warned, the cliffhangers are enormous. You can read my review of Delirium here, Pandemonium (book 2) here and Requiem (book 3) here. 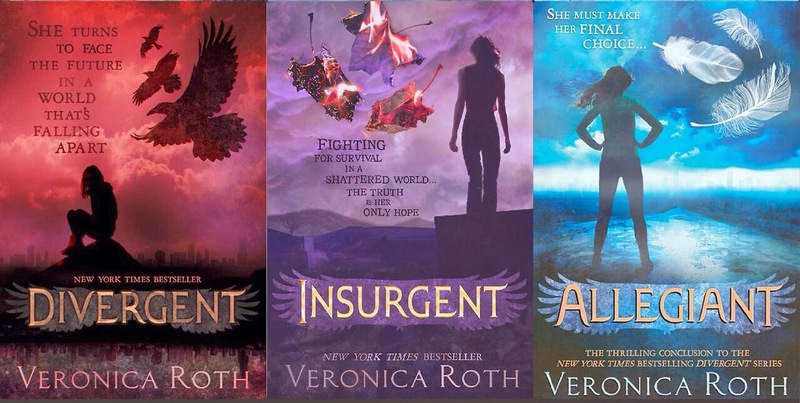 Chances are you’ve already heard of Veronica Roth’s Divergent trilogy, because it’s been made into a movie series. I enjoyed the two movies that have been released so far, but I enjoyed the books a lot more and they’re well-worth reading if you haven’t already because the movies missed out quite a lot of awesome moments that you’ll love. 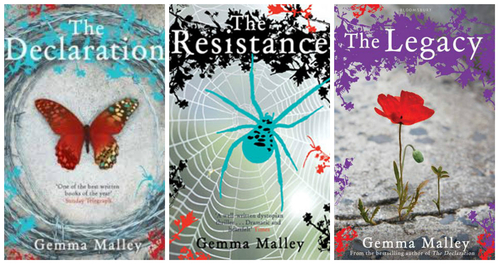 This is definitely a must-read trilogy for fans of The Hunger Games. You can read my review of Divergent here, Insurgent (book 2) here, and Allegiant (book 3) here. You might also like: Divergent author Veronica Roth talks characters, the movie, regrets, tattoos and fears. The Selection is another dystopian trilogy, but it’s a bit more on the girly side than the other books mentioned here so far. Think handsome princes, beautiful ball gowns and lots of swoon mixed with a dash of rebellion against the government. I absolutely loved this trilogy but I’ve always thought of it as a bit of a guilty pleasure, so it might not be everyone’s cup of tea. It’s getting made into a movie though, and I am SO EXCITED. 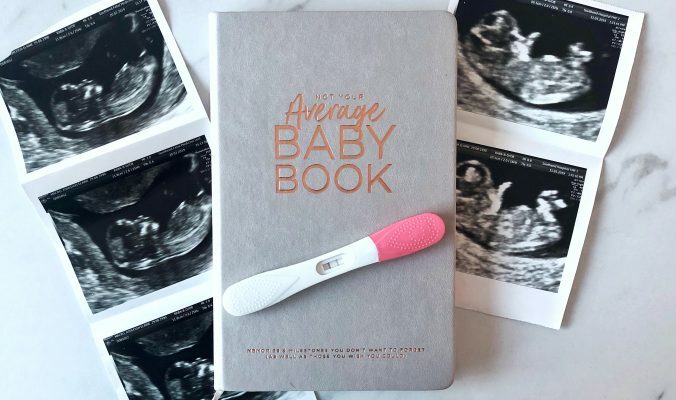 Fingers crossed it’s going to be amazing. 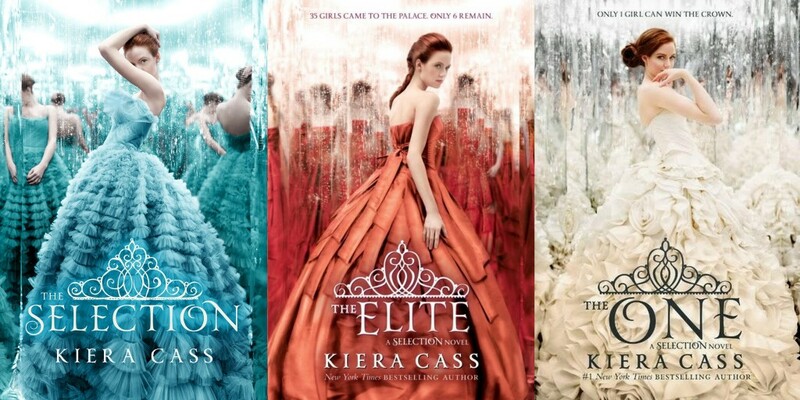 You can read my review of The Selection here, The Elite (book 2) here, and The One (book 3) here. 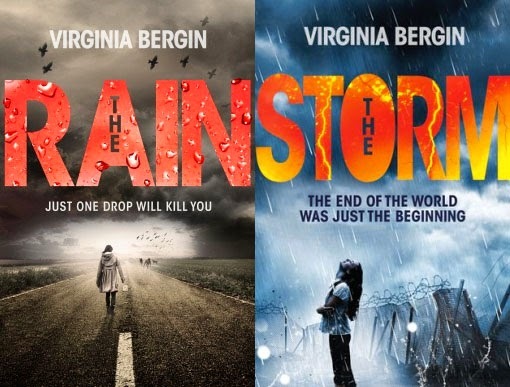 The Rain and The Storm are an amazing duo of books that are set in the future like the rest of the books in this list but, rather than being heavily dystopian, they’re a bit closer to home and focus instead on an apocalypse caused by killer rain. These books are so incredible and I cannot wait to read what Virginia Bergin writes next. 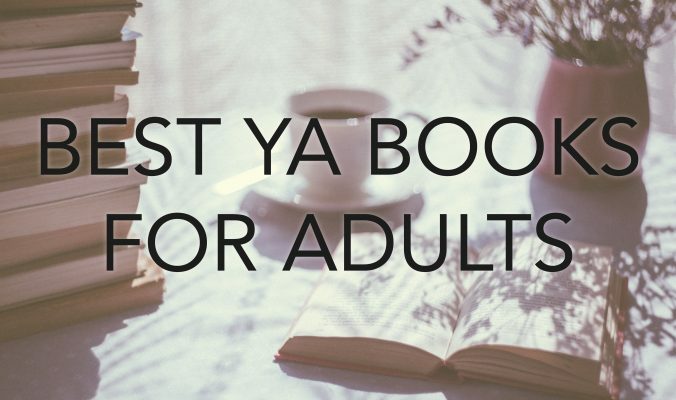 They’re terrifying yet sometimes funny and the characters leap from the pages to pull you right in. Another must-read. You can read my review of The Rain here and The Storm here. Back to a series that’s been turned into blockbuster movies, and that’s The Maze Runner. I’ve yet to finish this series but I loved The Maze Runner and so did my other half Ryan. It’s all about the mystery with this one, as our main character wakes up in a maze with no memory of who he is or how he got there, and I’ve still yet to have all my questions answered so I’m looking forward to reading more. The Jewel is pretty weird when you think about the concept, but it’s also really awesome. 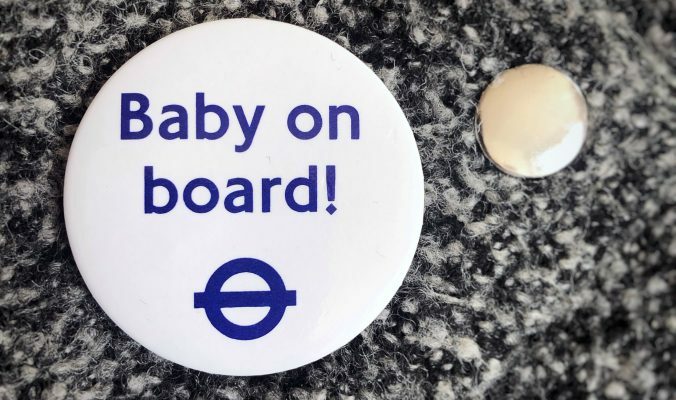 It’s set in a dystopian future in which the rich royalty has become so inbred that they can no longer have healthy children, so they recruit surrogates to have their babies for them. And sometimes, they treat their surrogates like pets, so much so that they actually attach a leash to their necks. But despite how weird it sounds, it’s really, really good and the second book is coming soon so I’m really excited to read it. 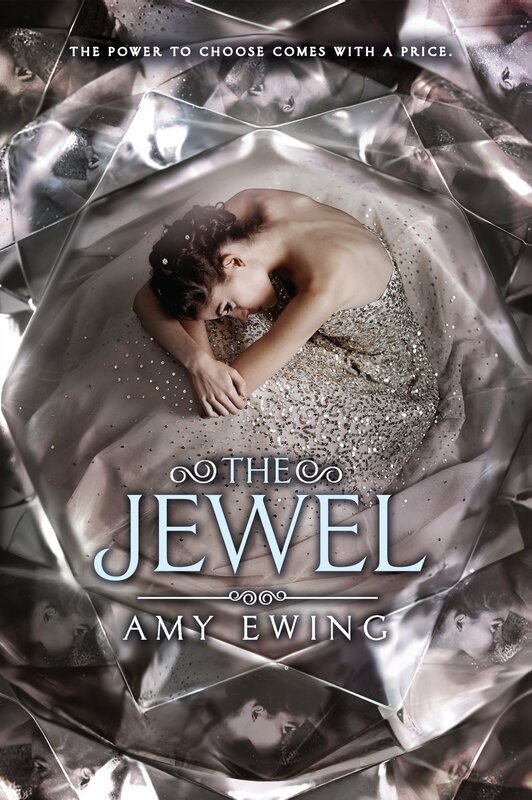 You can read my review of The Jewel here. There are quite a few books in the Gone series by Michael Grant, and so far I’ve only read two of them, but they really are brilliant. 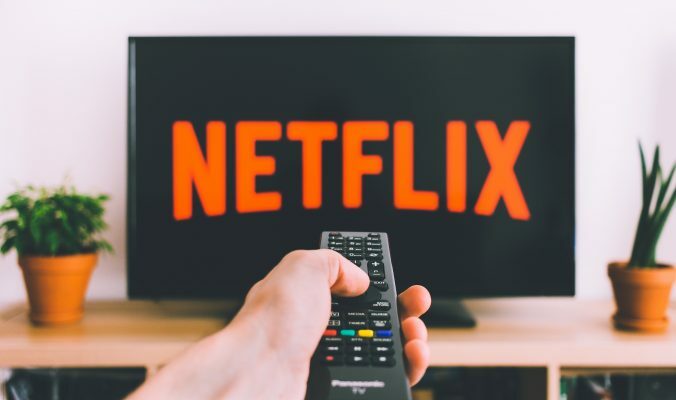 They’re a mixture of dystopian, fantasy, sci-fi and apocalyptic, set in what appears to be an impenetrable dome in which everyone over the age of 15 disappears. These books get pretty brutal and you’ll find yourself frantically turning the pages when the action really kicks in. You can read my review of Hunger (book 2) here. I’ve only read the very first book in this series, and it was a rather long time ago too, but I remember really enjoying it. It’s a dystopian future in which kids are no longer allowed, and if anyone gives birth to a child they’re forced to send them to this prison-like place, which is where main character Anna has lived for most of her life. I definitely need to get my hands on the second book in this trilogy asap! 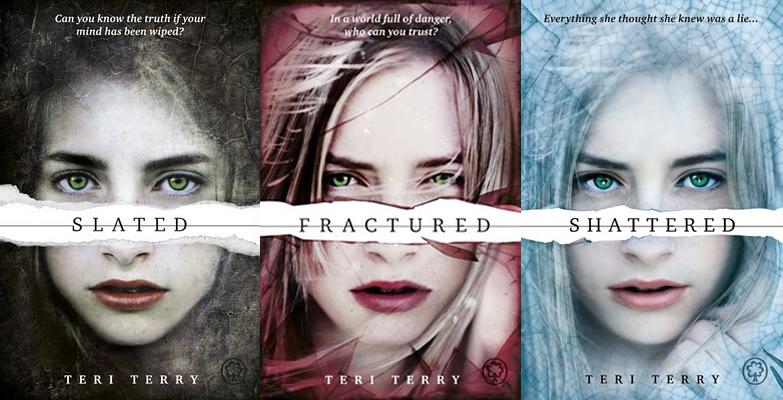 Teri Terry’s brilliant Slated trilogy is another must-read for The Hunger Games fans. I’ve read two out of three of the trilogy and can’t wait to read the third and final instalment. Main character Kyla has been Slated, which means her memory has been erased. 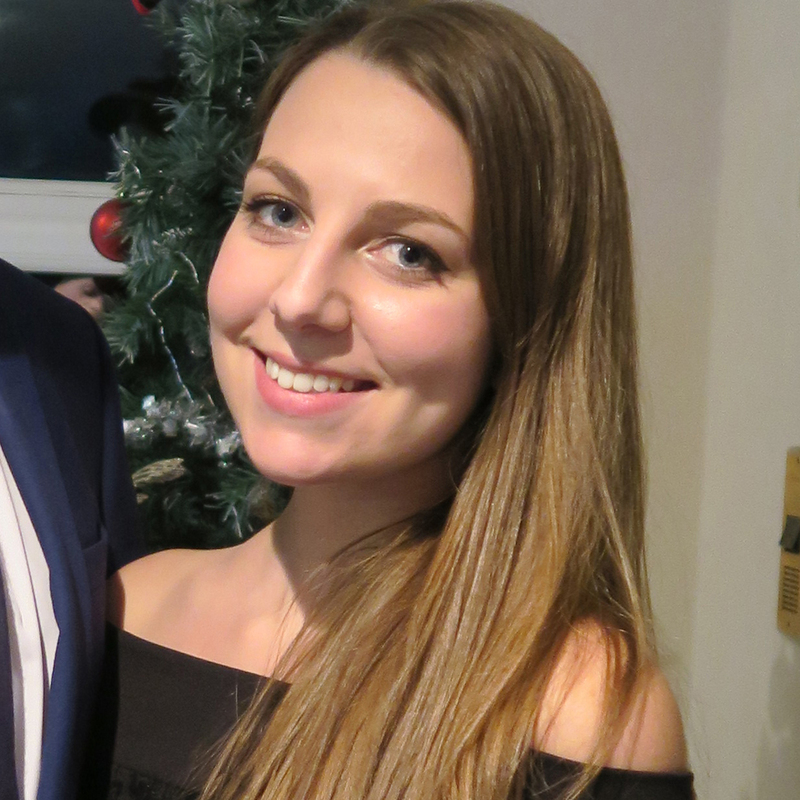 She’s told that the reason for wiping her memory was because she was a terrorist and this is the government’s way of giving her a second chance. But of course, all is not as it seems. You can read my review of Slated here and Fractured (book 2) here. 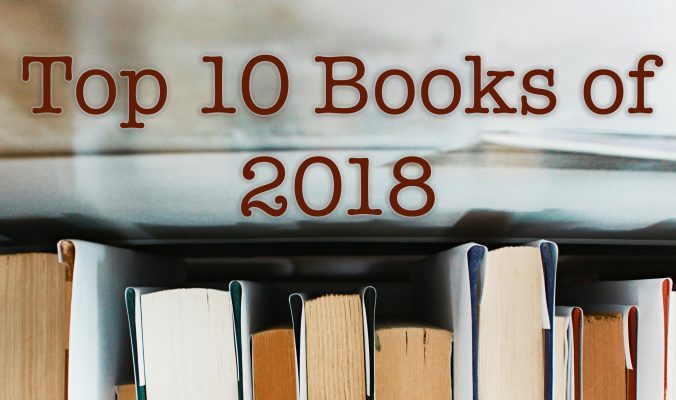 The final trilogy on this list is a little bit different because it’s got more of a sci-fi feel to it, but I absolutely loved all three books and I know fans of The Hunger Games will enjoy it. It’s set on a space ship that’s been travelling to a new planet for hundreds of years. 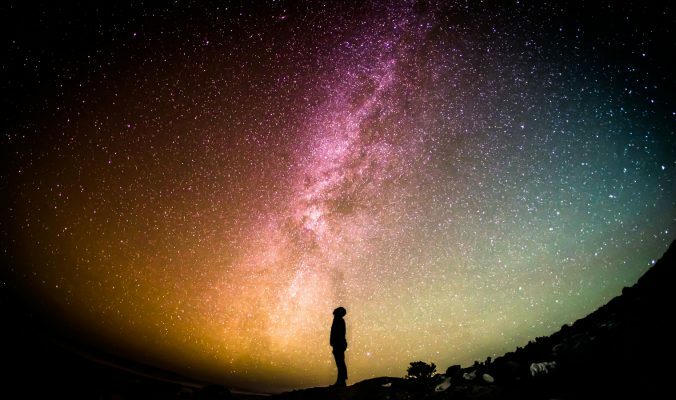 Lots of people from Earth were frozen and would be woken up when the ship lands on the new planet, but Amy is woken up early and finds herself on the ship with people who were born there and don’t even know what life on Earth was like. Highly recommended. 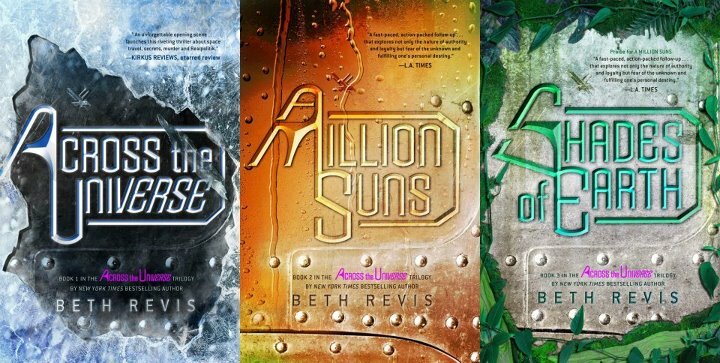 You can read my review of A Million Suns (book 2) here and Shades of Earth (book 3) here. I’ll be adding to this post when I come across more books I think fans of The Hunger Games will love. 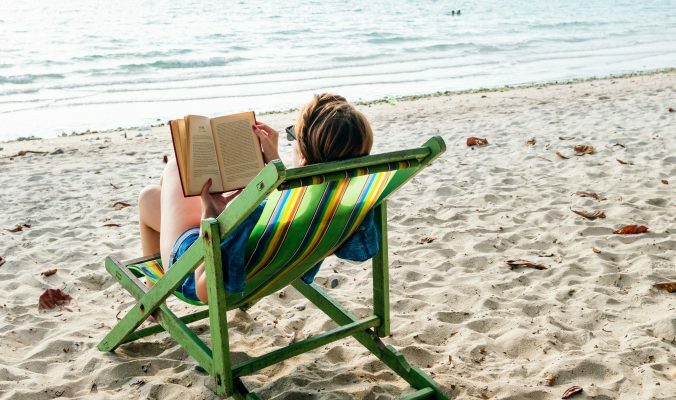 I’m also planning on writing some more of this kind of feature, so if there’s a particular book you loved and you want to read more books like it, let me know in the comments section below and I’ll come up with some recommendations for you for a future post. Great recommendations! I’m always up for more dystopian and post-apocalyptic books. Definitely going to check out The Rain and Gone. Moira Young’s Blood Red Road series is another good one.